Photo: A. A. Martense via BHS. 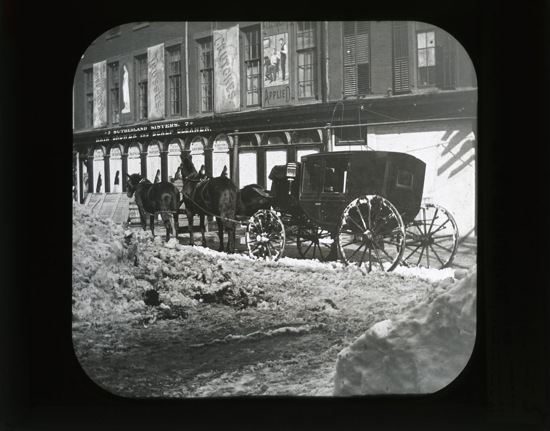 This photo, taken on Clinton Avenue at Fulton Street in March 1888 comes via the Brooklyn Historical Society’s blog. BHS has the full details, but what I like about the photo is the signage on the side of the building: trusses, crutches, and the Sutherland Sisters Hair Grower and Scalp Cleaner (which may have something to do with the “electricity applied” in the sign at the far right).